Please call us for pricing. We will beat any ones price. Does not include control or cable. A perfect replacement for any self contain system. Ranging from 6000-16000BTU 115v or 230v. 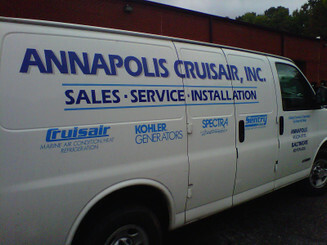 A big favorite among those looking for marine AC systems on vessels smaller than 40 feet are self-contained units. Dometic manufacturers some of the best self-contained marine AC units around, including the Cruisair Stowaway Compact & Stowaway Turbo models. Cruisair Stowaway Turbo marine AC units have all of the major components mounted on a single chassis, and can be easily installed and set up in many convenient areas of your boat, wherever AC is required. Because the majority of the components are enclosed, it’s easy to “stowaway” the unit wherever you’d like. Compact, Easy To Install, Quiet, Powerful, and Energy Efficient! The Cruisair Stowaway Turbo series is an IBEX Innovation award-winning marine AC system, with patented innovations in air conditioning system design. The composite drain is rust free and has multiple drains for quick removal of condensate water, without having to worry about the drain pan. Thanks to it’s vibration-isolating mounting system, the Cruisair Stowaway Turbo is quiet as can be, and without vibration, as many AC systems have. And with an optional sound cover, you can reduce the sound even further, up to 50% more!